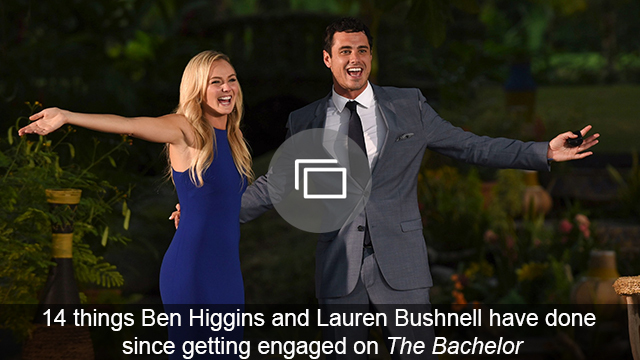 I don’t understand why Ben Higgins and Lauren Bushnell were so conflicted about televising their wedding live on The Bachelor. They’re starring in a reality TV show together for goodness sake! The time for privacy is well past. Bushnell had every right to be nervous about Higgins’ cold feet given the cameras in their face every day. What’s one more evening? All in all, after only two episodes of Ben & Lauren, I have to say, I’m a little bit nervous for these two. They seem to be on different pages quite a lot. Higgins agreed to both the After the Final Rose special as well as brunch with JoJo Fletcher and Jordan Rodgers without really clarifying how Bushnell felt about the whole situation first. On the flip side, Bushnell was ready for the on-camera wedding, while Higgins wasn’t there with her. I’m not trying to suggest that couples don’t have disagreements. Of course they do. A lot. But I think what I’m not seeing from Bushnell and Higgins yet is a teamwork-type mentality to pull them through. The conversation about their wedding should have happened long before Chris Harrison came knocking on their door. The same is true of Bushnell’s insecurities about Fletcher and Higgins’ relationship on the show. I don’t think it’s a doomed relationship for Higgins and Bushnell. Far from it. I just think they need to work some things out before they tie the knot. I do agree with Higgins that there is no reason to rush into things. Luckily, the two seem to have recognized that too, as they recently announced they’re in couples counseling. That’s a healthy way for them to work together and get on the same page before their wedding. A wedding that I can’t wait to see. Do you see red flags in Higgins and Bushnell’s relationship?